We will be back up and running tomorrow. 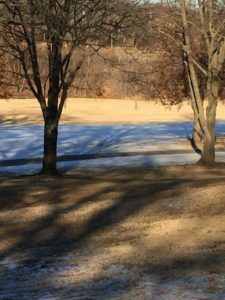 The snow and ice are primarily gone. There will be some in the north facing shady areas. 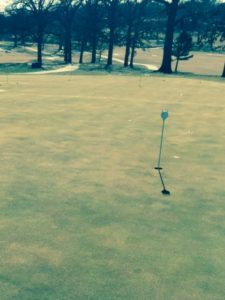 A little left on #1 and #10 greens. Not bad though. 60’s on Wednesday! I brought Cleo back out today to check on the course again. Check out the pictures from today. A lot more clear than yesterday. Cleo was having a blast again. She doesn’t understand that we don’t run in the bunkers. I cleaned up after her at #18 left green side bunker. I better not get her out around the bunkers. She will quickly realize running in them will keep me busy with the rake. I think she would enjoy making me rake bunkers behind her. 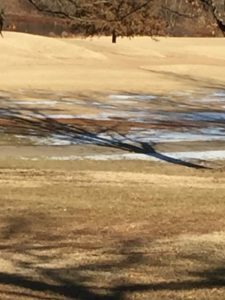 18 fairway clearing up on January 8th. Cleo laughing at me as she exits the bunker at 18 green. 18 green clearing up enough to play on. 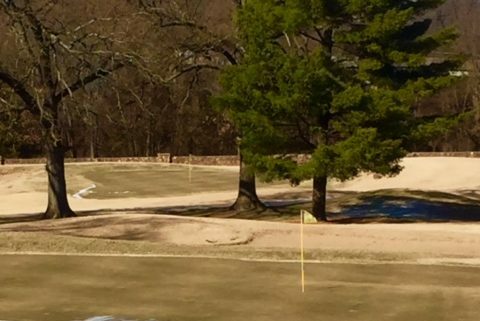 The practice green looking good after the snow and ice. 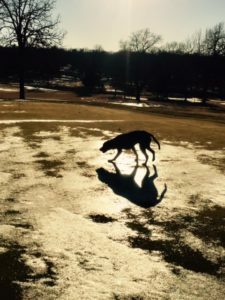 Cleo and I checking on the course today – January 7th! 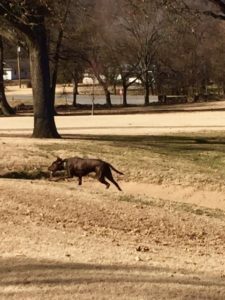 Cleo, my chocolate lab, came to the course with me this afternoon to check on the possibility of opening tomorrow. She had a blast. I love her. 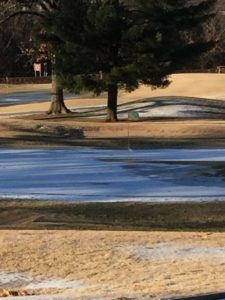 I wanted to check the coverage of snow and ice on the greens. She wanted to slide on them. So much fun! 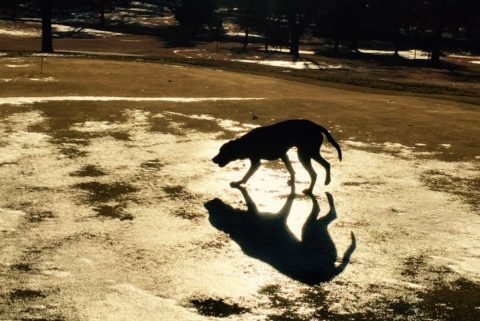 My chocolate lab, Cleo,enjoying the ice on the practice green today. 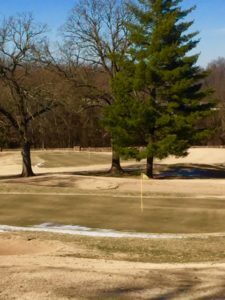 https://www.carthagegolfcourse.com/wp-content/uploads/2017/01/FullSizeRendercleo.jpg 640 480 Carthage Golf Course https://www.carthagegolfcourse.com/wp-content/uploads/2016/12/Carthage-Golf-Course-logo-300x162.png Carthage Golf Course2017-01-07 17:43:472017-01-08 20:27:56Cleo and I checking on the course today - January 7th!